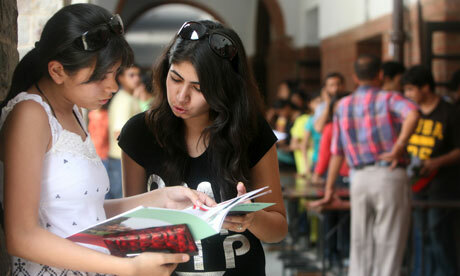 Students have given a mixed response to the changes proposed by the Delhi University admission. While some say that students should have the right to apply to as many colleges/ courses they prefer, others say they welcome the changes. Those who are questioning the cap on the number of colleges are also asking the university to reverse its earlier decision and allow students to opt for as many courses in as many colleges. In 2013-14 academic session, students were asked to opt for only courses and not colleges in the OMR sheets. Students are questioning the proposed cap on the number of colleges and the courses one can apply to. Cut-offs, they claim, are unpredictable and it is difficult to make accurate choices. Cutoffs, based on aggregate of best of three, has however been welcomed by many while suggesting that language should not be in the best of three subjects for commerce and science stream. Students also agreed that this will further increase the cut-offs significantly.